Got rock drums if you want it! 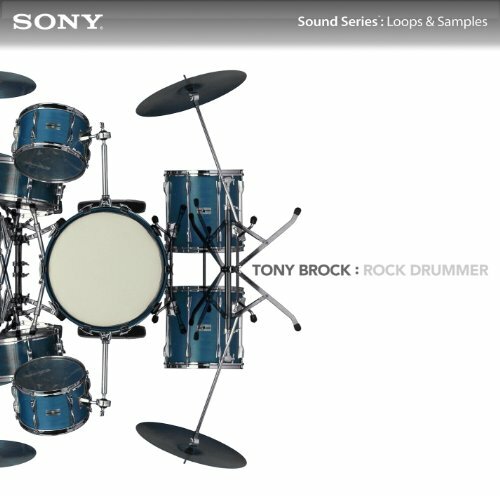 The Tony Brock: Rock Drummer collection is a bright, shiny, big production full of rock 'n' roll beats that work, pure and simple. Tony Brock's rock chops propelled The Babys through their fab fifteen minutes, and then marched forward to rock with the likes of Rod Stewart, Jeff Beck, Roy Orbison, Bernie Taupin and Jimmy Barnes. Here's the lowdown on the Rock Drummer loopset. For starters, Tony pulled out all the stops and churned out some beats: tight shuffles, straight-up rock 'n' roll, pop confections, thunderous, bonzo-style onslaughts, and more. Then, he applied some studio magic to a select group of this material, in the form of pulverizing signal and effects processing, and some razor-sharp, drum-triggered synth madness! The entire strategy turned out to be a fun-filled, full-on success, making our Rock Drummer collection a smashing blend of the classic and the modern, united and upheld by the timeless virtues of rock 'n' roll!